We understand that all businesses measure value in different ways. This is why our management has made the commitment to always keep our customer’s best interests in action, with a vigorous approach to driving costs down, without cutting quality or service. We will continue to instill this approach to our employees through education, follow-through, and reward, to ensure that our team achieves this valuable commitment. We will continue to invest in technology that keeps us committed to the integrity of our customers’ brand, and to provide them solutions for their supply chain. We add value to our relationships by being a single source for your business that is focused in executing responsiveness, reliability, cost awareness, storage, and fulfillment solutions that keep your marketing materials streamlined. 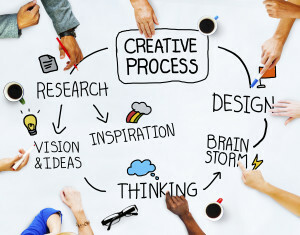 Our full service creative department can achieve an everlasting impression with high impact graphic design, layout, company identity and valuable branding advice. Our talented team of graphic designers are equipped with infinite resources that are vital for fresh ideas and constant innovation. Our artists stay in tune with current trends and cutting edge styles so that we can give your product the look that you desire, thus always keeping you ahead of the competition. Our team of graphic designers are exposed to print & mail production on a daily basis, and understand all the elements that a printed product can accomplish, without constraints, due to lack of experience or knowledge, of how far out-of-the-box you can go with creativity. This is where experience and technology will make the difference. We are staffed with a veteran team in this department. Our staff has the ability to identify file problems and advise solutions to correcting files, as well as assist with file intervention at the client’s request. 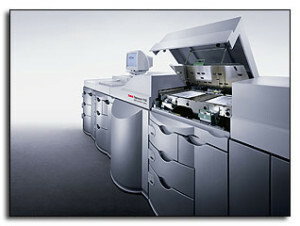 Our Prepress Division is equipped with all of the latest software used within the printing industry. Our inventory includes the most advanced computer-to-plate equipment & software available. This enables us to provide the most accurate transfer of files and proofing systems that give an outstanding quality image, at an extremely high pace. LP Printing only uses the best quality plates available for our CTP System. Our proofing equipment is at the industry peak. 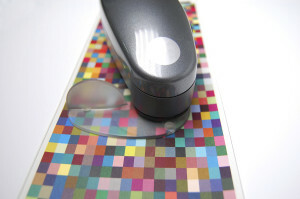 Our proofer has a built in Spectro-proofer which is powered by X-Rite to measure color. We finger-print our proofer to our printing presses to dial in color and shrink the gap of color consistency that plagues our industry. 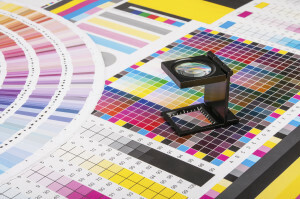 We utilize color profiles to produce color bars that are measured on our proof sheets as well as on press. We have protocols in place to help the client with ‘Mock Sample Proofs’ as well as ‘Color Proofs.’ This is a great way for clients to experience what the final outcome of their product will resemble, prior to it actually going on press. We also offer ‘PDF Proofing’ for convenience, and recommend this for the clients that are mostly interested in viewing final product content and layout. 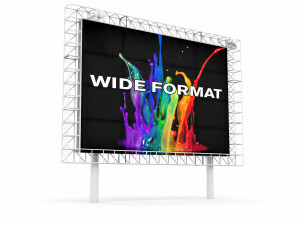 Capable of printing on several substrates, our wide format department can achieve brand success for your indoor & outdoor signage, stand-alone signs, trade shows, banners, gator board, foam core signs, and much more. This aspect of our printing services is incredibly versatile. 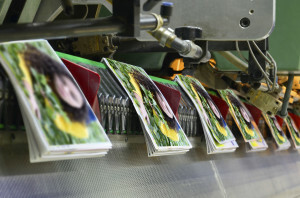 The flexibility of Digital Printing is so beneficial and crucial for our clients. This empowers LP Printing to offer a wide range of products for our clients that have a need for small quantities, fast turns, and target budgets. Our digital department has the technology and equipment to support and produce the most simple products, as well as products that present complex needs. Our Digital Presses are a true framed press, which means the structure is built for durability. This enables us to achieve vibrant pleasing color, and 1/16 inch accuracy from sheet to sheet. Our digital presses have in-line saddle stitching (stapling) with a special feature to create a spine for books and catalogs. Our digital operators are trained and equipped with software to preform variable data products as well as other customizable solutions. LP Printing has been a Sheet-Fed printer from its early beginnings. This gives us the advantage of experience and the ability to recognize how to adapt to technological changes and advances with in our industry. A Full Service printer must have an inventory of equipment with capabilities that can meet their clients’ needs, but offer much more. 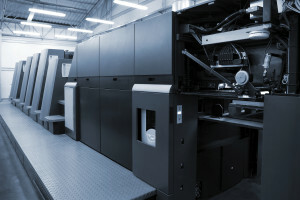 Our Printing presses have features that can achieve a variety of unique products, using 6 color capabilities, specialty coatings, and other customizable features that capture an edge over our competitors. Our inventory consists of an arsenal of diversity within the press room that achieves productivity, on-time demands, efficiency, cost awareness, & quality standards. We practice quality measures through consistent maintenance and quarterly performance testing on our printing presses. This helps to keep our press room committed to quality. Our press consoles have CIP3 & CIP4 technology which enables the pre-flight color profiles to automate the ink keys at the beginning of each job. Our presses & press operators are trained to measure ink densities for various paper types using Spectro-densitomiters. These practices take the guess work out of the equation and create an environment to dial in accurate color while on press. We pride ourselves in the ability to operate our press room 24/7 when the capacity is necessary to ensure our clients always have their marketing materials for those critical times. LP Printing’s full service approach to bindery really sets us apart from most competitors. What we can achieve in-house from start to finish is amazing! LP Printing has focused our growth on acquiring many types of equipment that allow us to finish our products in-house, at our pace, and under our supervision and quality requirements. Hand work available for products that a machine cannot create. LP Printing is a full service mailer that can meet all of your Direct Mail needs. Our experienced Mail Specialists can guide your marketing materials so that your mail campaign reaches the demographic target at the most affordable postal rates. We can clean up your company data as well as access custom data to preform target mail campaigns suitable for the market your company needs to capture. We understand the importance of being versatile, which is why we have equipment that can support several types of materials using alcohol based & water based inks. Our mailing department can clear nearly 1 Million pieces per day, ensuring you that your campaign goes out on-time & verified. 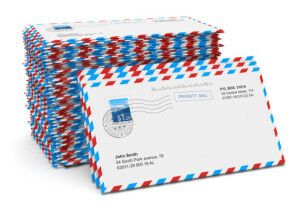 We invite you to take advantage of having your product printed & mailed by the same provider. It simply makes sense to MAIL with LP Printing because of the superior service we provide, as well as our list of solutions and capabilities. 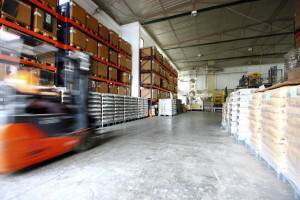 Our facility is 24,000 square ft. with expansion plans in action for an additional 12,000 square foot of storage space. We can consult with your purchasing department to optimize and evaluate cost controlled buying points, varying our solutions to personalize your products per location, as your team pulls the inventory selections from our portal software that is customized to suit only your company. We are able to Pick-n-Pack various products per instructions, or simply get generic products, distributed by mail or shipping destinations, all the while streamlining all your collateral. This is all manageable by our 1-stop-shop approach. We suit the packaging per the product and treat every item with a measured precision when shipping. We can achieve success with our own sources of shipping, or coordinate directly with your logistics team for national or global delivery.